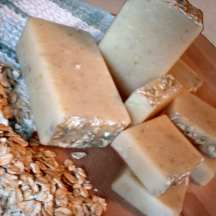 Pallas Athene Soap makes organic, vegan, handmade natural soap! All Pallas Athene Soap natural soaps are lovingly handmade from natural vegan ingredients. Pallas Athene Soap natural soaps are certified vegan, are not tested on animals, and are 100% biodegradable. 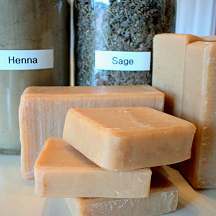 Handmade natural soaps are carefully made in small batches, never more than twenty-four pounds at a time. The Premium Soap natural soap base consists of a variety of natural nutritive oils, including organic olive oil, organic shea butter, and other exotic oils that produce a fabulous natural soap delightfully high in glycerin and rich with essential fatty acids, which are vital to natural skin care. 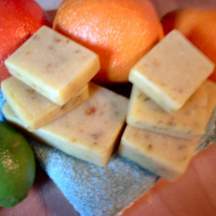 These organic, vegan, handmade natural soaps also contain vitamins E, C, and A from natural botanical sources. No artificial colorants! No chemical preservatives! No synthetic fragrances! Packaging is minimal, biodegradable, and recyclable, because Pallas Athene Soap™ operates as a small environmentally responsible business. Conveniently, these organic, vegan, handmade natural soaps are delivered to your door via USPS Priority Mail®, and have been since 2000. On January 20, 2005, Pallas Athene Soap received the Natural Soap Council's "Best Handmade Natural Soap"™ award for the 2005-2009 term. Purchase 5 bars of Pure Soap™ for $18.99! For each bar of organic, vegan, handmade natural soap sold, Pallas Athene Soap donates one bar of handmade natural soap to a local charity. For more information, please visit the Charity page of Pallas Athene Soap. Pallas Athene Soap organic, vegan, handmade natural soaps are certified vegan by Vegan Action and are not tested on animals. 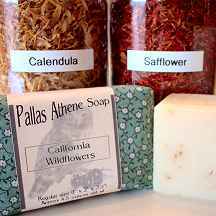 Pallas Athene Soap is a benefactor member and Certified Soapmaker of the Handcrafted Soapmakers Guild. 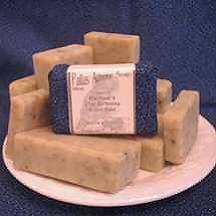 Pallas Athene Soap is listed with the Natural Soap Directory. Pallas Athene Soap is proud have its carbon footprint offset by TerraPass. Pallas Athene Soap is a trusted merchant and is verified by PayPal. Learn about Teresa Rosiak for Mayor of Lemon Grove.